There is no disputing that mothers deserve the best and are quite rightly appreciated throughout the year, but when Mother’s Day comes around most like to go that little bit further by showing their appreciation and showering their mothers with gifts, love and gratitude. Some consumers will make a last minute dash as they scramble for perfume, flowers and other gifts and anyone who works in marketing won’t have that luxury which is why it is us important to have a structured well thought out plan of action to engage with customers. Let’s look at some ways your business can maximise this occasion to its full potential. Why not create a dedicated Mother’s Day page on your website? A simple but extremely effective way of capturing potential customers. You are sowing the seeds in customers’ heads and encouraging impromptu purchases. It will provide a personal, intimate opportunity to showcase your stock, even if it isn’t necessarily directly related to Mother’s Day itself. Why not introduce a code for checkout such as “MOTHERSDAY2019” for customers to benefit from Free delivery or Free collection or a moneyoff voucher for future purchases? Is a Mother’s Day giveaway a good idea? Capturing potential customers now ahead of Mother’s Day is a superb way to build your business. Why not contemplate offering a giveaway basket or hamper of Mother’s Days indulgent goodies, such as bath time treats and luxurious chocolates. The beauty in this giveaway, is that it will appeal and attract both Mothers looking to pamper themselves as well as people looking for last minute inspiration. Is a Mother’s Day meme the way to go? If you use social media you invariably see these on a daily basis. 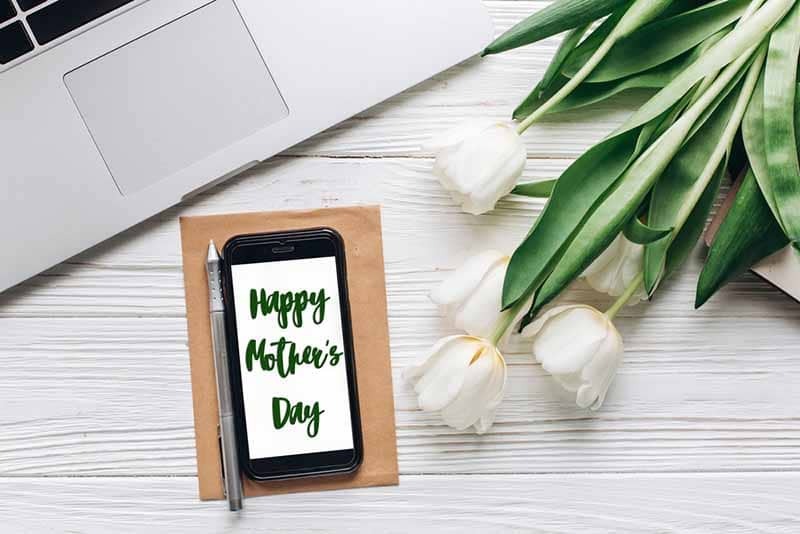 Why not get your social media followers and customers to interact with you by creating a fun “Mother’s Day Meme Generator” and get mothers to upload photos of themselves in order to win a special prize ahead of the big day. This is a perfect opportunity to interact with your customers whilst incorporating a bit of fun and raising awareness. Why not introduce a Mother’s Day wrapping station? There is always a last minute surge onto the high street from fathers and their children as they attempt to source their Mother’s Day gift and ensuring it looks the part. If you are a retail business selling gifts ahead of the big day, have you considered offering a FREE gift wrap station to support your customers ahead of Mother’s Day 2019. It will ensure a positive shopping experience and is also a great way to engage with your customers building a rapport going forward. If you are going to go down this route it is worth investing in the personal touches. We would recommend investing in some ribbons, bows, and gift tags as well to add that little something extra to the presentation. Is it time to start accepting contactless payments? Contactless is very much a buzz word at the moment. The popularity and growth in the last 3 years is unprecedented and has reached many aspects of our daily lives from travel, food to paying for goods and more and more businesses now rely on this when offering options for customers wishing to pay. If you are contemplating getting equipped with contactless payments ahead of Mother’s Day, you will need to ensure you get equipped with the best infrastructure to meet the needs of your business. Most customers now have a contactless card, and if you are unsure you will need to look for thewave symbol on the front of your debit or credit card. If this is displayed then the customer has the ability to pay using the contactless option.If you are thinking of introducing contactless card payments to your business you could also incorporate a marketing or social media campaign to raise awareness of this. Accepting contactless card payments adds integrity and also supports businesses with queues during peak trading periods which many will experience in the build up to Mother’s Day.